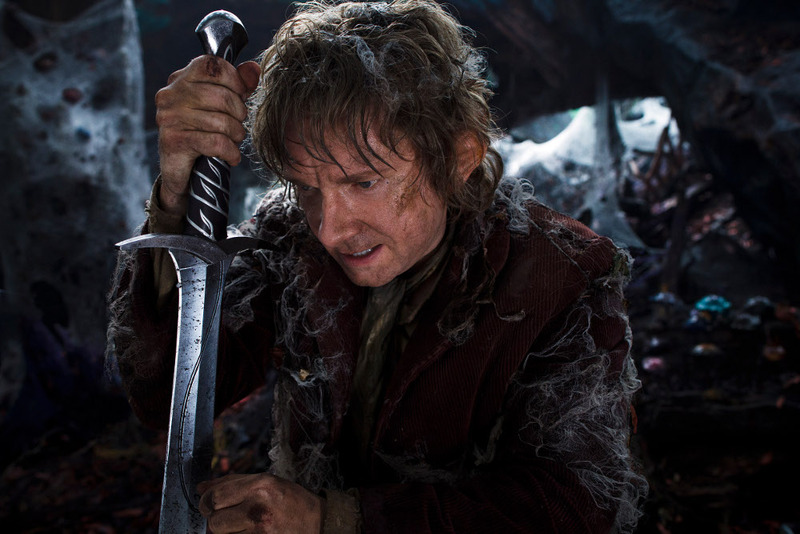 The Hobbit: The Desolation Of Smaug Trailer Hits - Are You Screening? The Hobbit: The Desolation of Smaug finally gets a trailer, and though the big sell is a glimpse of the dragon, the real weight behind the trailer is that it does a fair job of convincing those who weren’t overly impressed with the first movie that they shouldn’t write it off just yet. That may sound a little odd given the less than fantastic Podcast Review we gave the first film, but I’m not as jaded against the franchise as my co-host. Of course, most of what you get in the trailer is a whole lot of whizz-bang, and not a lot that delivers an insight into substance, but there are some telling points if you look. Then again, this is still basically a needless three-film effort at a children’s book, so you could probably go either way, even if there is a lot of flash and “pretty” in front of you. But, whether you’re into the films or not, it’s a fun trailer. MARTIN FREEMAN as the Hobbit Bilbo Baggins in New Line Cinema’s and Metro-Goldwyn-Mayer’s fantasy adventure “THE HOBBIT: THE DESOLATION OF SMAUG,” a Warner Bros. Pictures release.